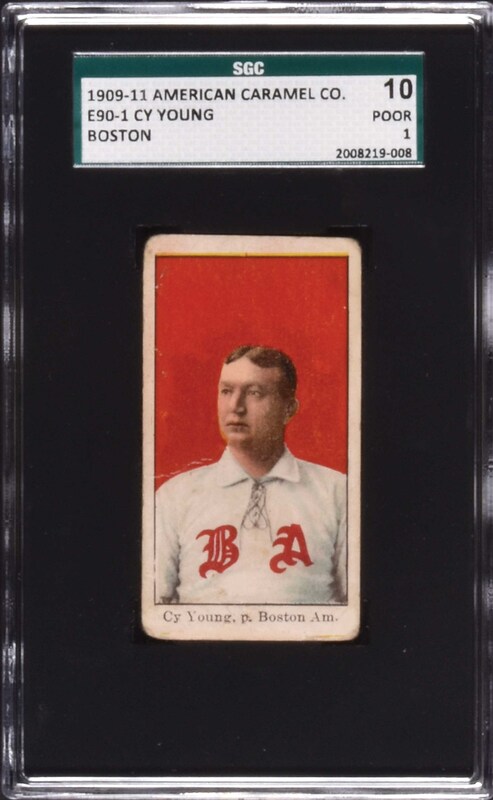 Very pleasing example featuring a striking portrait of Hall of Famer Cy Young from the E90-1 American Caramel series. This is easily one of the most popular and classic of all cards of the legendary Cy Young. 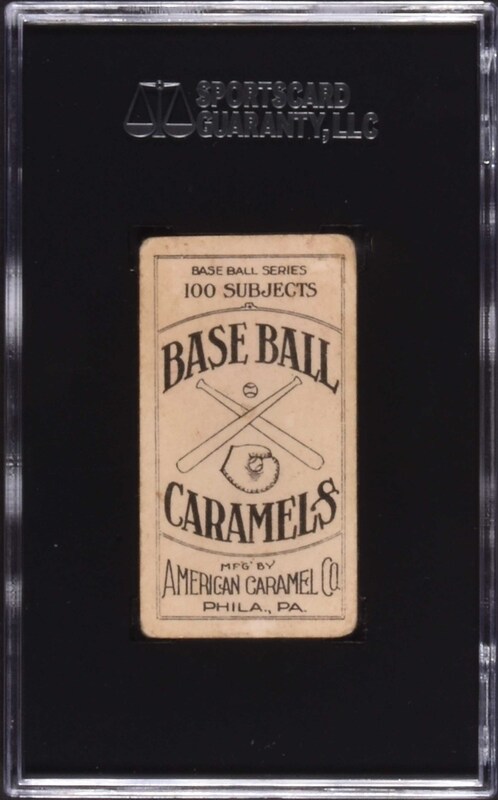 This is also one of the most striking cards in the E90-1 American Caramel set. Bright and crisp, both front and back, with a bold red background, and outstanding centering. Graded POOR 10 by SGC, this card shows evenly rounded corners, several creases, and paper loss along the bottom edge. This card is a prime example of the great opportunities that can sometimes exist to acquire vintage-card classics without spending a fortune. This a very attractive low-grade example of one of the most classic Cy Young cards from the most popular caramel-card set of the era. Reserve $200. Estimate (open).